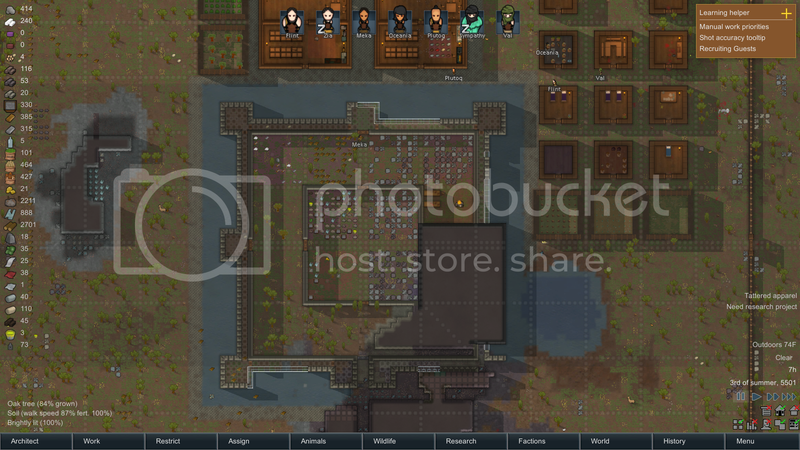 Me and 2 friends are going to be starting a game where we share the same map seed. 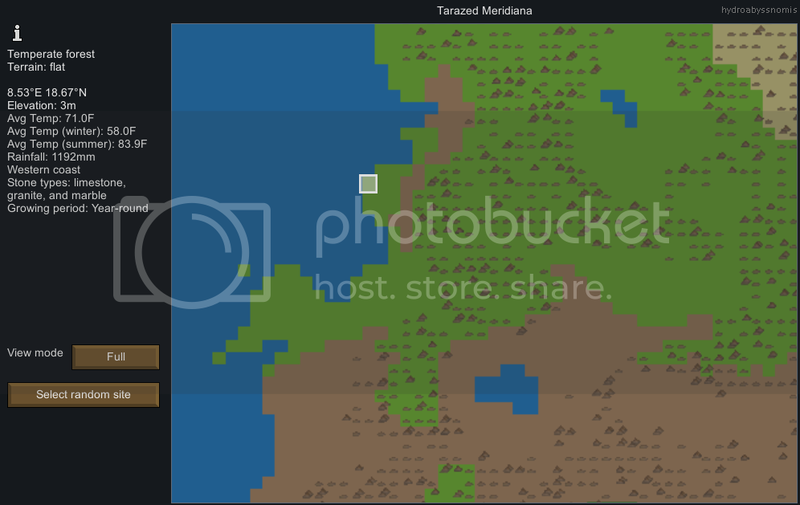 We claim locations and trade with each other using debug mode. I have posted the rules of the game here. 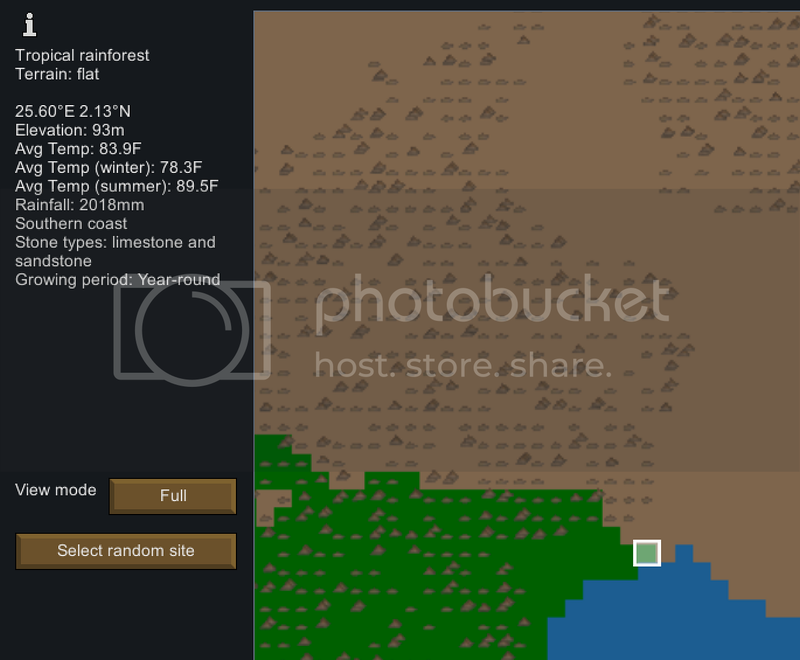 The game is ment to be in a more role playing style where you chronicle the history of your nation. The more detailed and creative you get the better your story will be. Try to build your nation as if it were a real society. Avoid gamey things like kill boxes and mountain bunkers. 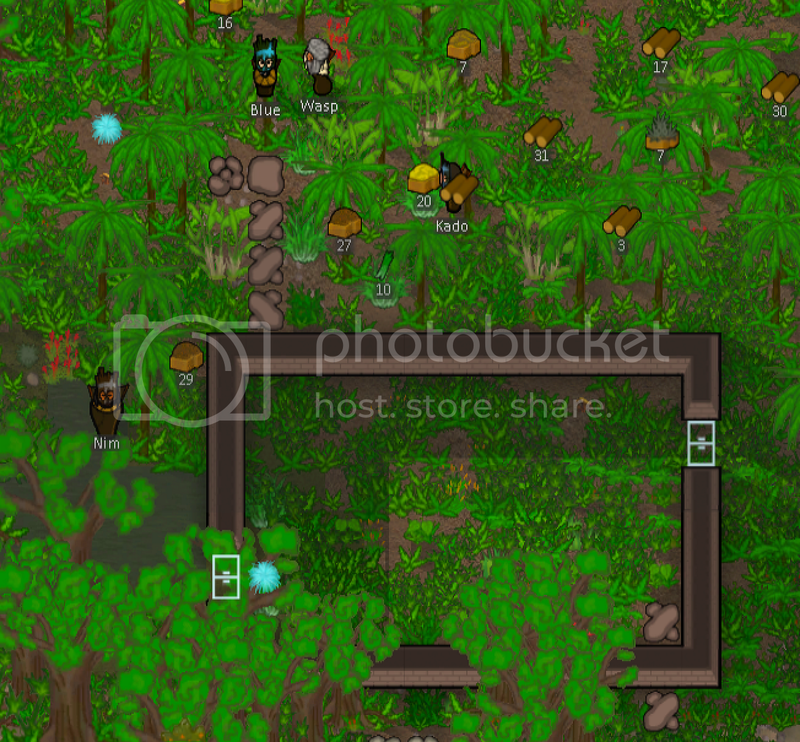 Make a tribal village with huts. Grow it into a medieval town with maybe a castle. What makes your culture different from the others? 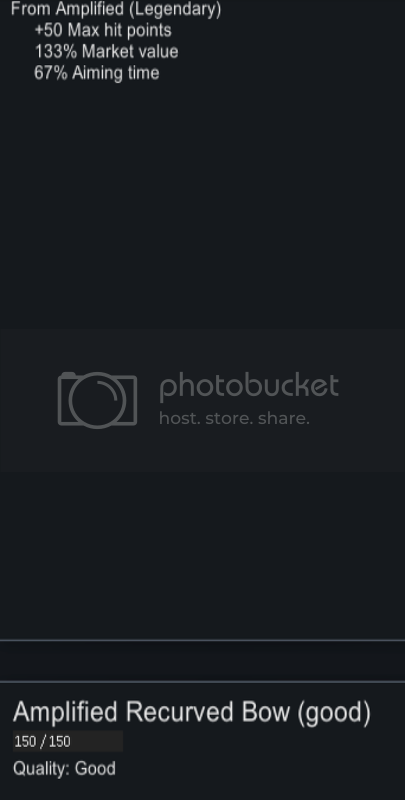 Make landmarks and monuments. Who is the leader of your nation? Are their different social classes? 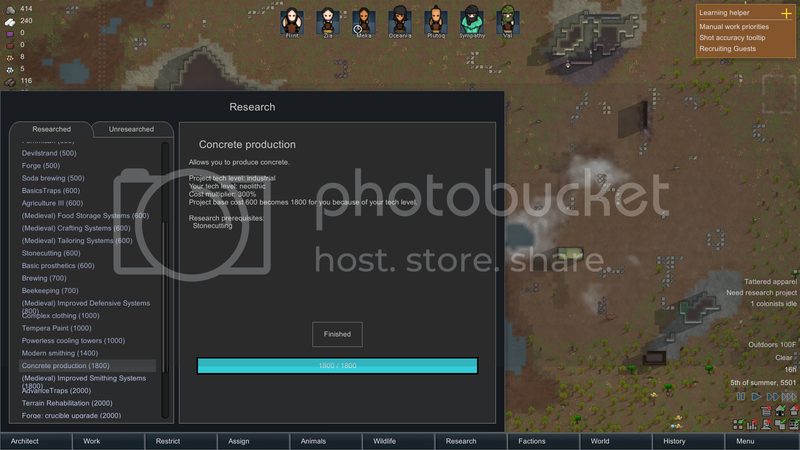 Make specific buildings such as a city hall, court house, church, barracks, library, university, hospital, shops, parks, jail, armory, training grounds, baths, labs, factories, museum, graveyard, city walls, streets, power plants, water plant, garbage dump, tavern, lighthouse, docks, warehouses, fishing dock, farmland, mines, and so on! In short your goal is to make the most impressive and creative nation you can. Like it says in the rules, use any difficulty you want and whatever mods you like. This is made to be fun! 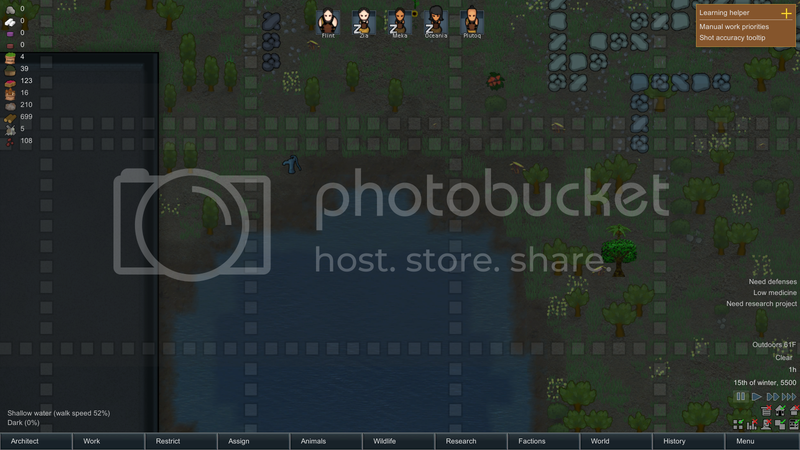 So who else wants to join me and my friends on this Rimworld? 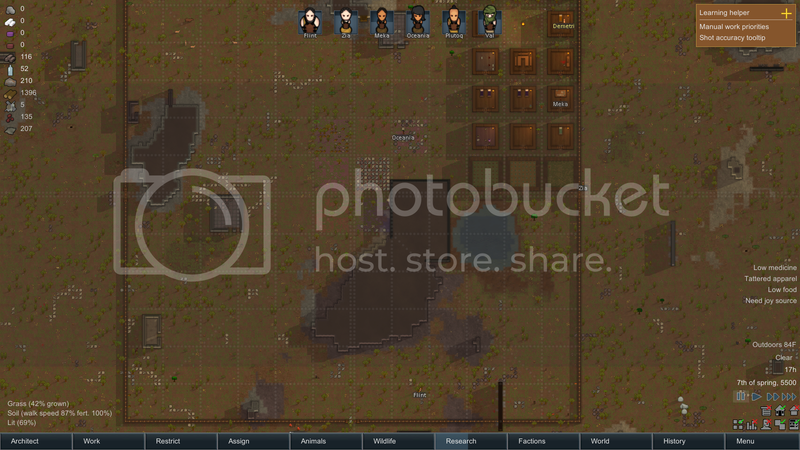 Alright so making good progress with this spawn ended up next to two abandoned ruins which are now my workshop hospital houses and stockpile zone also make some expansions on the base foundation got a farm and a prison so far things are going well. Meet the founding 5 members of the Hydronia Tribe. Flint is main builder, miner and warrior of the tribe. He is married to Oceania and is the brother of Zia. 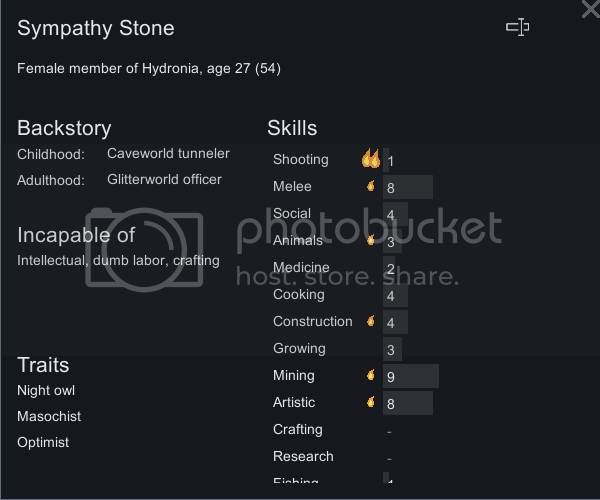 Like everyone in the Hydronia tribe he is a hard worker. 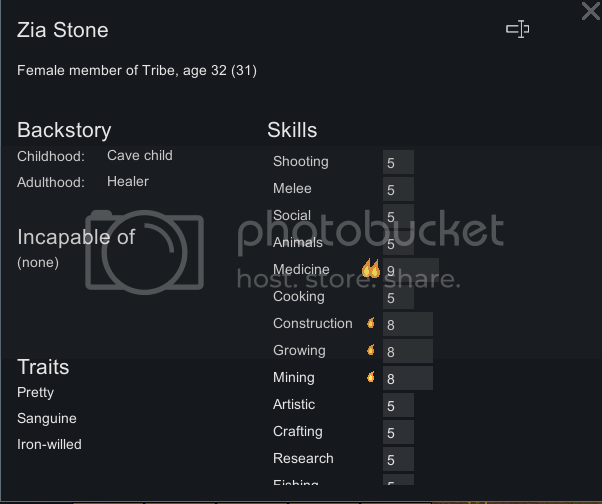 Zia is the main Healer of the tribe. 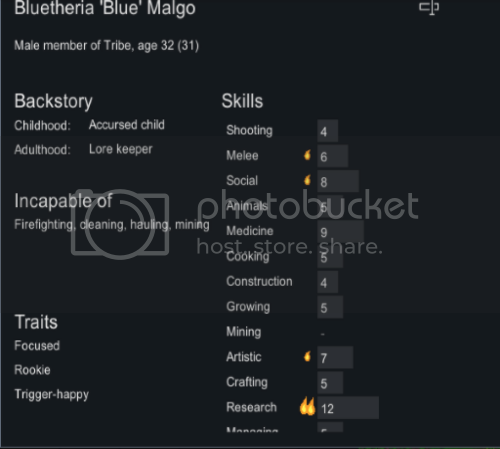 She is also good at farming. Like all the women of the Hydronia tribe she is very pretty and very upbeat. 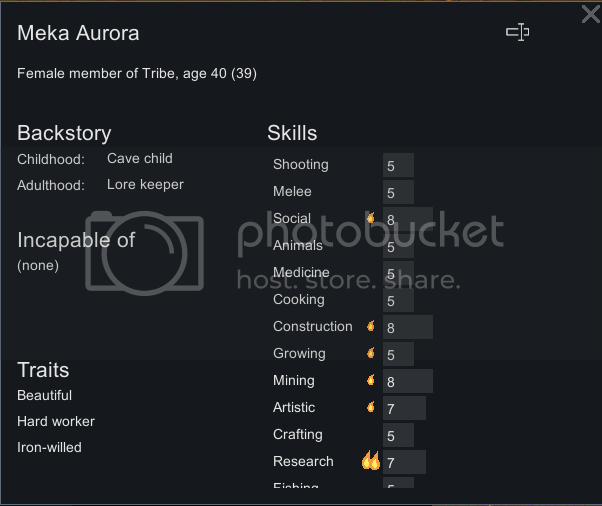 Meka is the leader of the tribe as well as the main negotiator and researcher. 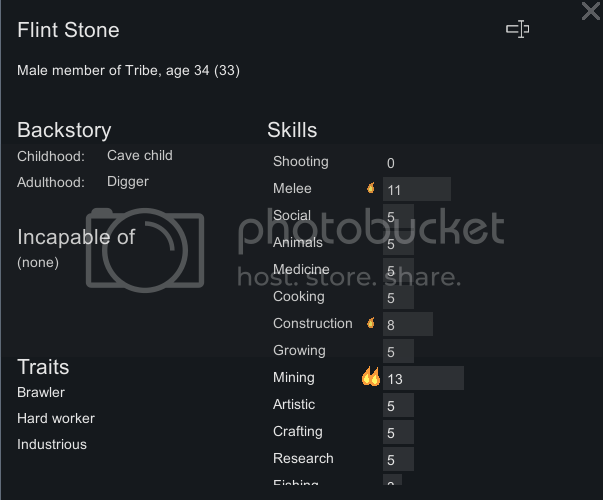 She founded the tribe with her son Plutoq. 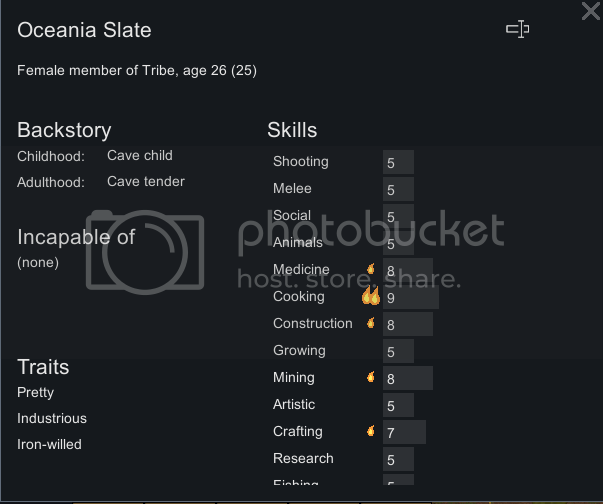 Oceania is the main cook of the tribe. 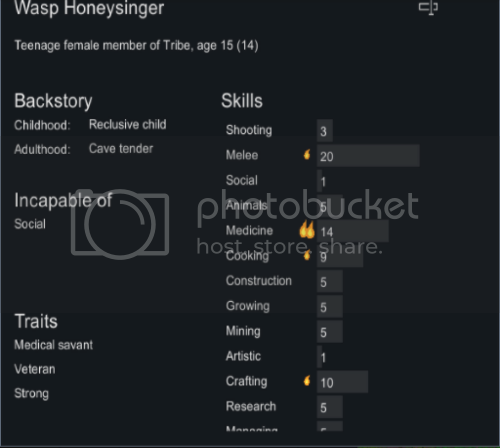 However she has many other talents such as crafting, healing and mining. 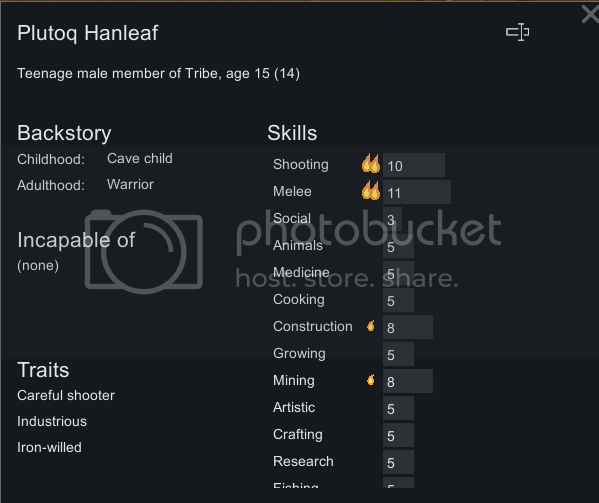 Plutoq is the main hunter of the tribe is great with the bow. 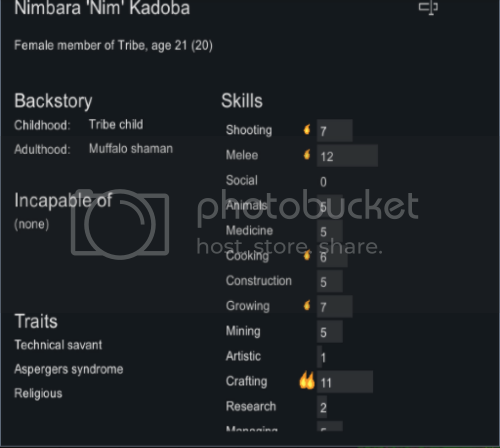 How will this tribe do? Will they survive? Only time will tell. And so the Hydronia Tribe begins. Their temperate forest has many ruins one of which is right next to where they began to settle. They chop, gather and build. 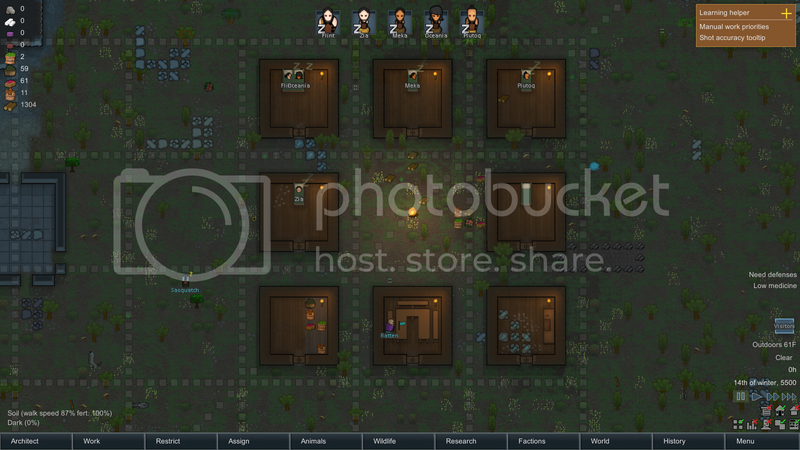 And before they know it they have a small log hut, some berries, mushrooms, aloe and some basic weapons (club and bow). It's not much but it is only the first day. A couple days later they manage to make more log huts and even a central fire pit. 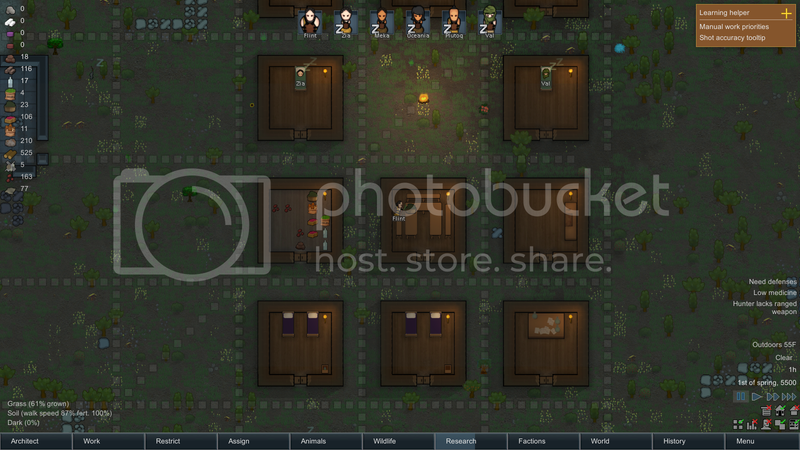 Everyone has real beds now and a place to eat and butcher animals. Now the hunter just needs to go out and hunt. 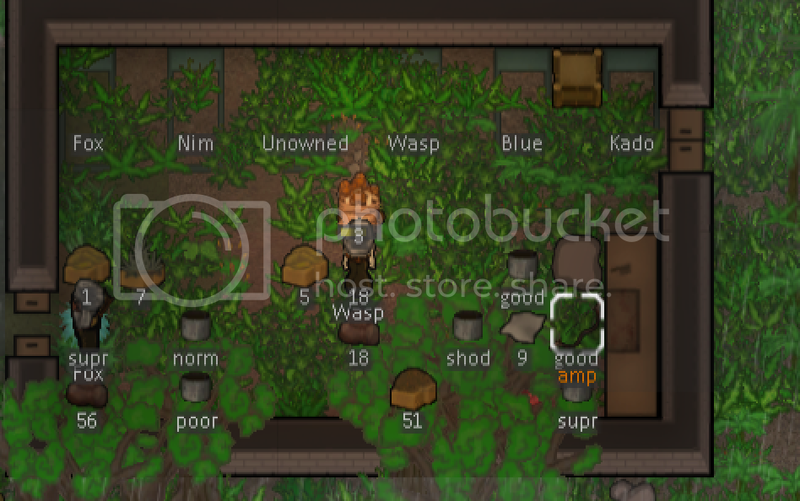 Looks like their first visitors arrived. Too bad everyone is asleep. Back In Hydronia they picked a water source nearby. Note the pump can placed anywhere but I wanted it to act as if you were gathering water from the pond. A few more buildings were made. Two rooms for guest to stay in and one for Meka to study in. 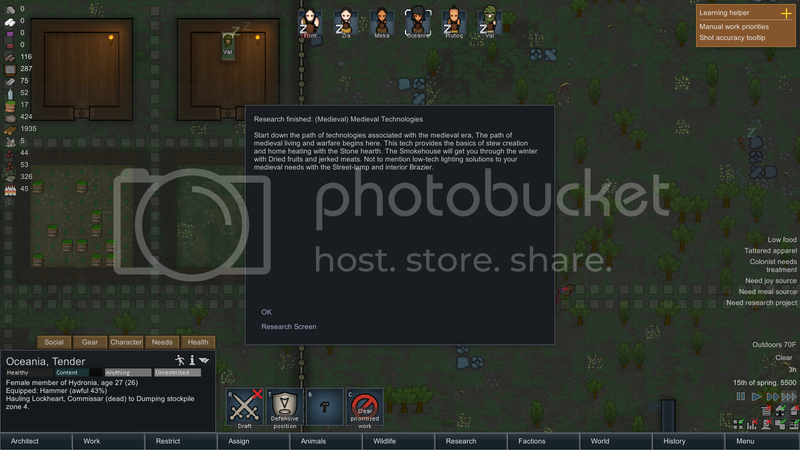 She is now a full time researcher unless somone visits in which she has the best diplomacy. They also discovered Olives and how to make Pemmican. And look who arrived! Flint and Zia's dad, Val! He is a War Chief / Mad Scientist ... and Gay! Defiantly an interesting guy. Perhaps he will become the new leader of Hydronia. 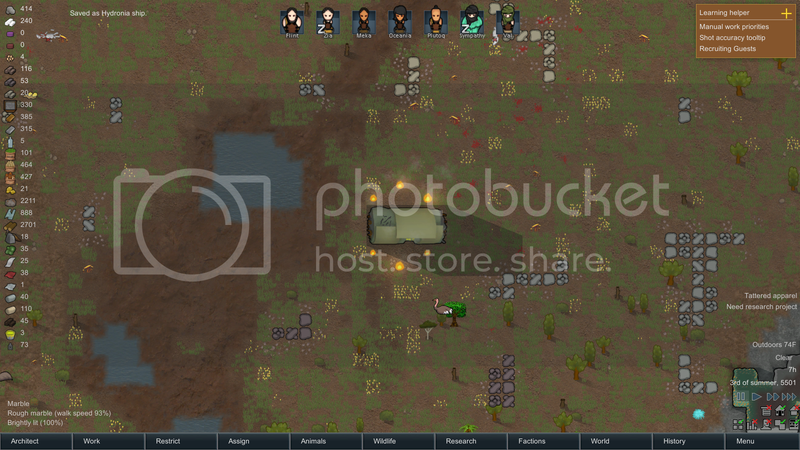 Their first raider arrive and the guys went out to protect the village. They quickly downed him and then took him prisoner. 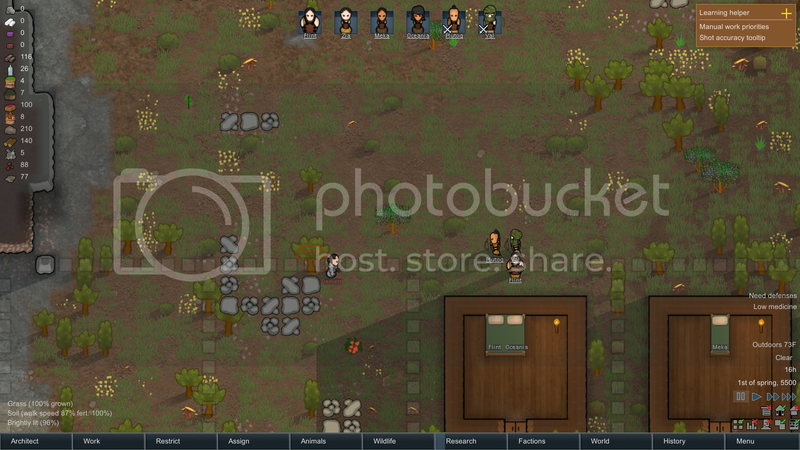 They had minor damage and even healed the raider. 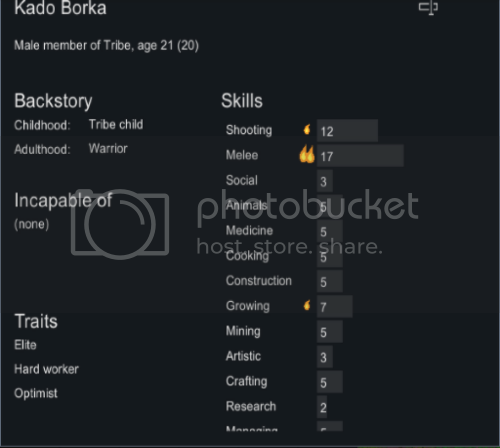 Meka has been trying to convert him to the tribe. Zia planted the first crops of Mushrooms and Aloe. They have also discovered other wild plants like cherries and peaches. However they do not know how to grow them yet. To prepare for future raiders they built log fences around the perimeter of the village. 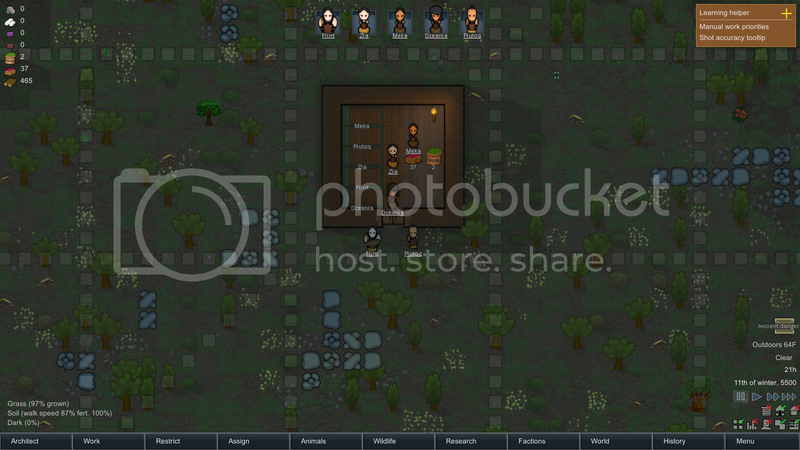 Its mainly to keep wild animals out since it will not do much against any raiders. Hydronia has discovered all there is to discover in the Neolithic and has advanced to the Medieval Era! 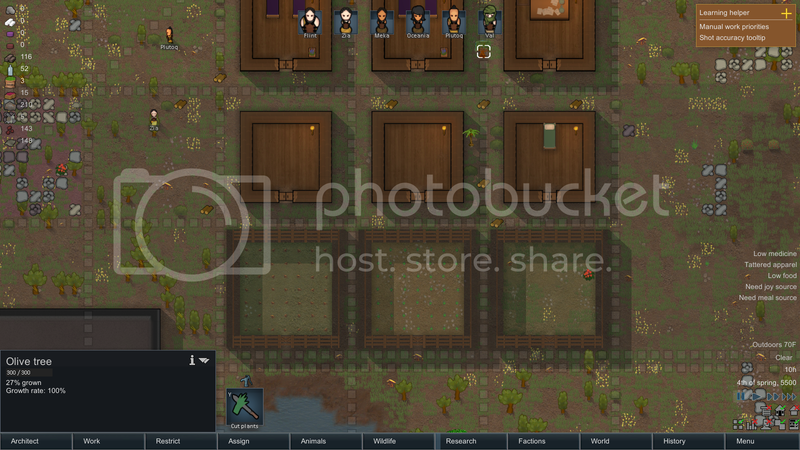 There was another raid and they killed one of the raiders and got their gun. 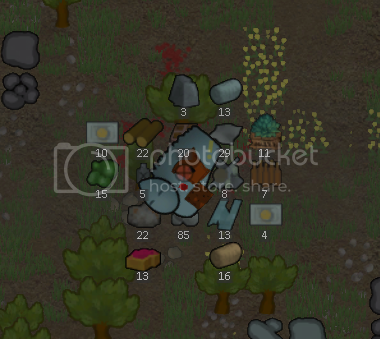 Also some of them even ate the raider for some reason! 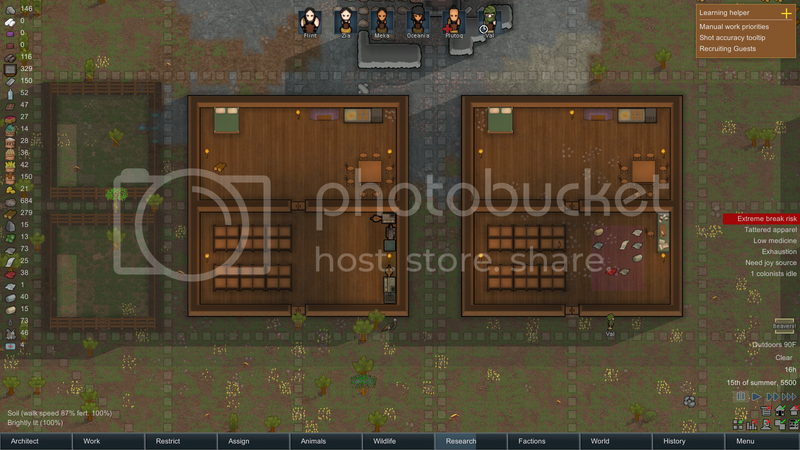 Then the prisoner escaped and was shot and killed with the gun. There was also a bear around that was eating the turkeys they were trying to tame so he had to be killed as well. Three turkeys were tamed and a squirrel was self tamed. 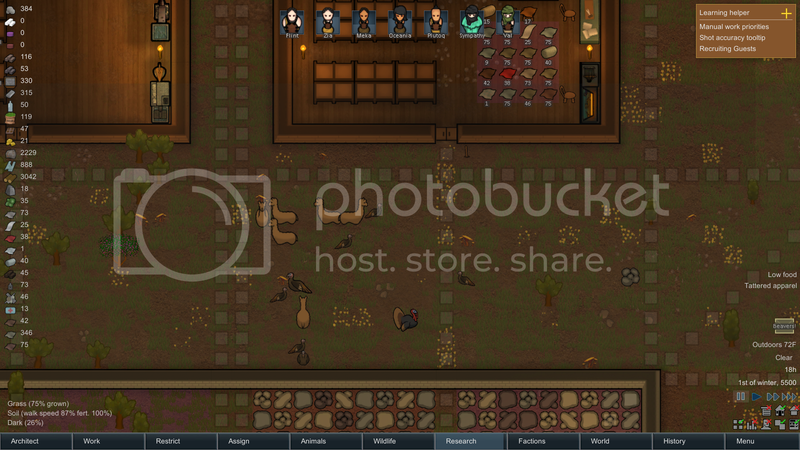 Some stray caravan muffalo were found and raided of their goods. They found all sorts of items from cloth, metals, food and even medicine! They now have access to Agave, Corn, Potatoes and Rice. Large cottages with shops in them were built. One has a Tailor Shop and the other a Smithy. Also work has begin on a castle in the middle of the village. Flint and Zia's Mom arrives. She is also Val's ex-lover. Looks like Flint and Zia were not adopted. I wonder when Val came out of the closet. Had to be after his kids were born. Many alpacas were tamed and now they get lots of wool. Also the turkeys had chicks. So via the rules, I can not unlock chickens! Work continues on the castle. Doesn't help there is an ancient ruin in the middle of it. As long as no one opens it until they are ready. Awww nuts! Really? Well that's not good. However they ave just reached the Industrial Era! Perhaps the wonders of the mechanization can save them from these space invaders. 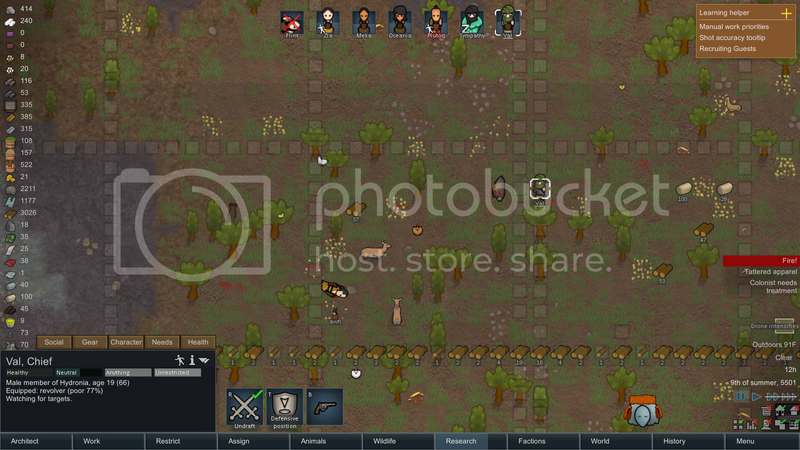 The ship makes all the animals go mad and they kill Flint. 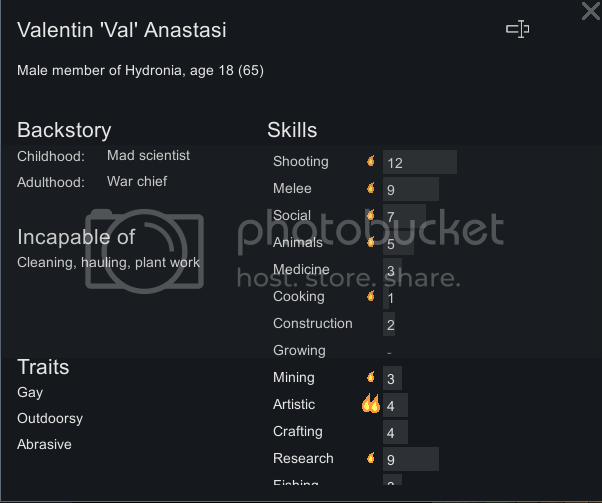 This pisses off Val and he runs to the ship with his gun. But is also killed along with his alpacas. 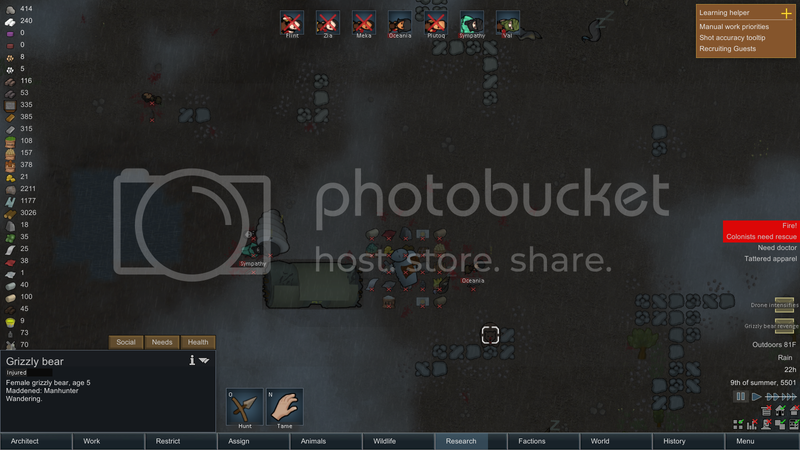 The rest of the tribe try to fight and they manage to down the alien, but not before the alien gets a grizzly to take out the Oceania the last survivor. With no one to save them anyone left alive slowly bleeds to death. And so ends the story of the nation of Hydronia. For many moons, our people knew peace, and lived within the fertile valleys of the great plains. This did not last, for in the night they came from the sea, those children of the deep waters. Monstrous in form and nature, they showed no mercy, taking who and what they would. The blood of those that resisted stained the soil, and fire took the rest. Not all died though. Five of us managed to escape under the cover of darkness, having been warned by the screams. Fleeing for our lives, we traveled many days till we could no longer. We will make our home here now, and defend ourselves. We will not fall to those who seek us harm, nor shall we succumb to fear. We are the people of Velkana, and we shall remain. 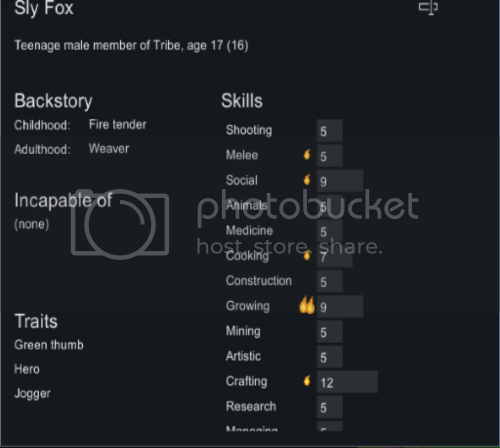 The five survivors, and their traits, backgrounds, and skills. With nothing save the clothes on our backs, we were forced to take shelter within the ruins of a small building for the night. Here we would stockpile food, and rest, till we could rebuild our tents. Hopefully we would not be attacked till then. We soon began planting, for though we could gather much from the wild, a stable food source would be necessary for our survival. 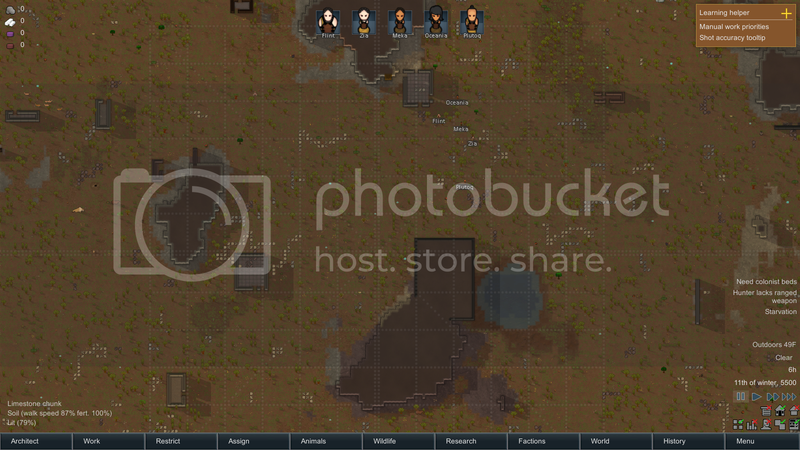 As one day became two, and the groundworks for a small camp were being built along the coast, a most wondrous thing happened. Fox, while crafting bows for our hunting and defense, must have invoked the great spirits, for one came to invoke their power! A sign of good tidings, perhaps? Only time would tell.